Biosource Fresh Foam Cleanser Review: Does It Really Work? 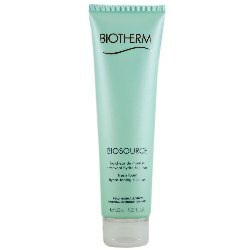 Biosource fresh foam hydra-toning cleanser, US $31 for every 150 ml tube, is a cleanser that tones and enhances your skin’s texture and moisture content all with a single wash.
Biotherm is a French skin care company that was originally launched locally in 1952 with the introduction of three products, which are the La Crème Triple-Usage, Biotherm Cure and Biomains. As soon as the brand gained worldwide popularity, the industry giant, L’Oreal, also noticed the brand and took over its ownership and management in 1970. Since then, the brand has become associated with the formulation of products that use thermal planktons in the formula. Delivers ingredients that dissolve and cleanse your skin that is tough on the most stubborn impurities but gentle enough on your skin so as not to cause irritation. 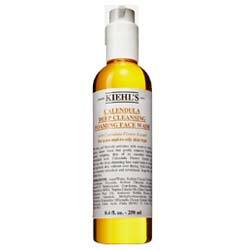 This product has been specially designed to bring optimal benefits for people with normal to combination skin types. It is easy to use and can be seamlessly integrated into your existing morning and evening skin care routines as the first step of your regimen. The manufacturer fails to share this product’s full ingredients list, making it impossible to evaluate this product for efficacy and safety. 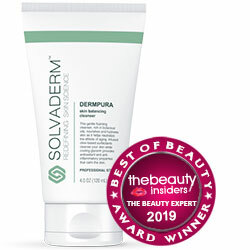 Biosource fresh foam hydra-toning cleanser reviews indicate that this product impacts people’s skin in a variety of ways, sometimes favorable but, sometimes not. In the absence of a full product ingredient list, it is impossible to evaluate this product’s safety for use, most especially concerning people with sensitive and problematic skin. Nevertheless, skin irritations and allergic reaction remain to be a possibility so take precaution by testing this product on a patch of skin to check for allergic reactions before spreading it all over your face. 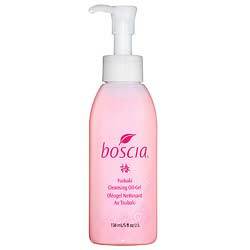 Biosource fresh foam hydra-toning cleanser must be used as part of the regular cleansing step in your morning and evening skin care routines. Apply the product on wet skin. Massage in and lather, avoiding the eye area as much s possible. End by rinsing off thoroughly. Always use lukewarm water when cleansing because water that is too cold or too hot can damage your skin. There are no negative reviews posted by users about this product. Biosource fresh foam hydra-toning cleanser is potent enough to bring you the refreshing and purifying cleanse that you want to achieve each time you wash. The other longer term benefits promised, however, are questionable, most especially since these will be washed off in a matter of seconds anyway.